After a lot of leaks and rumors, Huawei officially launches Huawei P30 and Huawei P30 Pro smartphone at the P series launch event in Paris. 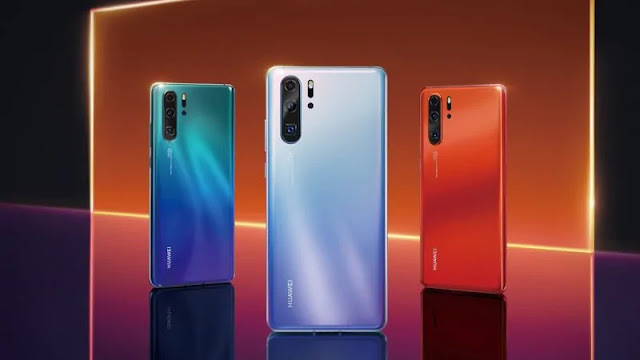 According to Huawei, this two smartphone P30 and P30 Pro are its most advanced camera Smartphone till date. It also consists of SuperSpectrum sensor, optical zoom lens and a new time of flight camera. The sales of Huawei P30 and P30 Pro are going on in some selected markets. And on the other side, they are also launching FreeLace and FreeBuds Lite earbuds. Huawei P30 and Huawei P30 Pro Cost. As per Huawei, the P30 will convey a beginning sticker price of EUR 799 (generally Rs. 62,200), while the P30 Pro will retail beginning EUR 999 (generally Rs. 77,800) for the 8GB RAM/128GB capacity show. The 8GB RAM/256GB capacity variation of the Huawei P30 Pro comes at EUR 1099 (generally Rs. 85,600) and EUR 1,249 (generally Rs. 97,300) for the 8GB RAM/512GB storage choice. Huawei P30 ad P30 pro is going to release in five different variants Black, Amber Sunrise, Aurora, Breathing Crystal and Pearl White. There is no official declaration of price and launch of Huawei P30 and Huawei P30 Pro for India but both are already listed on Amazon India. Specification for Huawei P30 and Huawei P30 Pro. Ø Run on Android 9 Pie with company EMUI 9.1. Ø Dual- SIM and dual VoLTE connectivity. Ø Having bezel-less front with dewdrop notches. Ø Huawei P30 Pro – 6.47-inch full HD + (1080x2340 pixels) OLED screen having 19.5:9 aspect ratio. Ø Included in-display fingerprint sensors. Ø Consist of Acoustic Display Technology that uses an on-screen gaglev speaker which turn display itself into a speaker like LG’sG8 ThinQ. Ø P30 and P30 Pro both are powered by 7nm manufacturing process-based octa-core Kirin 980 Soc with Mali-G76 GPU. Ø P30 – 6GB RAM + 128GB onboard storage. Ø P30 (Battery) – 3650mAh. Ø P30 Pro – 8GB RAM + 128GB/256GB/512GB onboard storage. Ø P30 Pro (Battery) – 4,200mAh. Ø P30 Pro have wireless charging support with reverse wireless charging technology. Ø Support Huawei’s 40W super charge technology. Huawei said that they are going to add a graphene film cooling system to control the heat on both the phones.